Needless to say, these are all great songs. Each of them is legendary in its own way. However, I’m not sure that these songs are necessarily the “best” of the Beatles’ vast library. 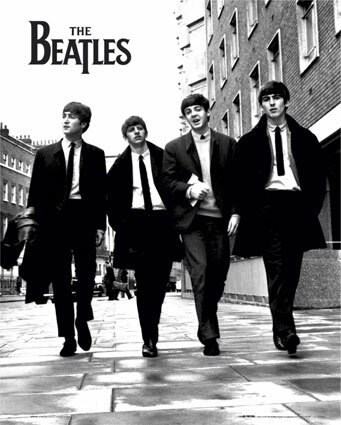 Perhaps I would agree that they are the most influential or the most inspirational or even the most important songs written by the Fab Four, but I don’t think they are most enjoyable, at least not for me. Now that’s not to say that I wouldn’t rank some of these in my own “Top Ten Beatles Songs of All Time” list, but Rolling Stone’s list as a whole doesn’t seem quite satisfactory if for no other reason, than because they don’t explain what they mean by “best,” which, in the case of musical preferences, is usually subjective (at least, not on the web site). Wow, that was really difficult. I’m sure that I didn’t give it enough consideration, but this list pretty accurately describes the songs I find the greatest desire to crank up when I hear them. There are several others that I had a really hard time not putting on the list including Eleanor Rigby, Getting Better, Day Tripper, and No Reply just to name a few. I’m a little disappointed that I have almost no early songs (which I enjoy, but not as much as the later stuff) and I have nothing from Revolver or Sgt Pepper (which are both great albums). Perhaps I should make a list of my top 20, just to make myself feel better, but that’s for another time. According to Rolling Stone’s the web site, they have actually ranked the top 100 in a new collector’s issue of the magazine available at Barnes and Noble. I think I’m going to try to pick this up.